Get the ultimate car handling performance by upgrading your suspension to KW Coilover for your B7 Passat. KW Coilovers are the top standard coilover system in Germany, and have developed and tested all their suspension products on the track for the ultimate performance. 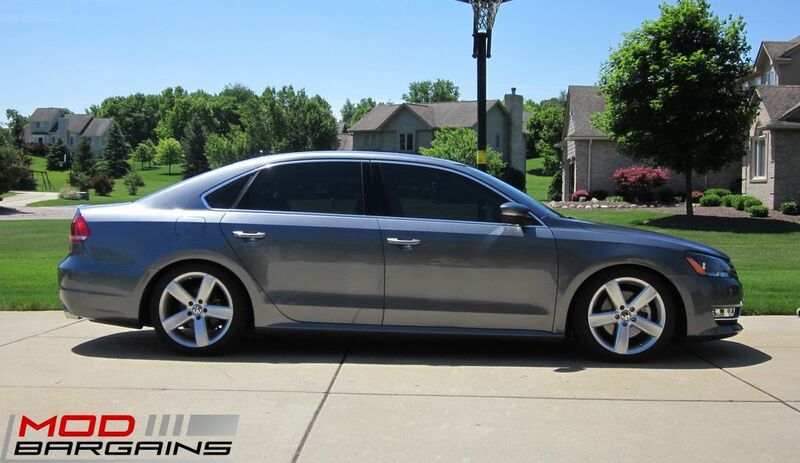 The KW Coilovers for B7 Passat lowers your car's stance for a more aggressive look and a lower center of gravity. This reduces the body roll and increases suspension stiffness for a significant improvement in car handling and control. The KW Coilovers are available in 3 different models so you can get the correct suspension for the way you drive. All of the KW Coilovers for B7 Passat are TUV tested and approved, and come with a lifetime warranty to ensure that you are getting the best performance suspension available. 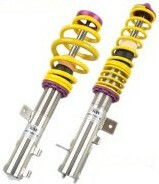 These coilovers were designed with experienced drivers in mind who want more than just ride height adjustment. With the adjustable rebound damping, you can adjust the pitch and roll behavior of your car for the street or the track.